Smart, sophisticated, and sinfully good, Renegade Arts Entertainment celebrates Kindzierski and Bolton’s Shame with a gorgeous hardcover collection. I first spoke with legendary colourist and writer Lovern Kindzierski about his epic adult fairy tale Shame way back in 2012, as he was gearing up to release the first volume of the three-part series. The passion and joy with which he spoke about the project – about its origins and about collaborating with iconic illustrator John Bolton – was infectious and revealed an impressive depth of understanding of his subject matter. 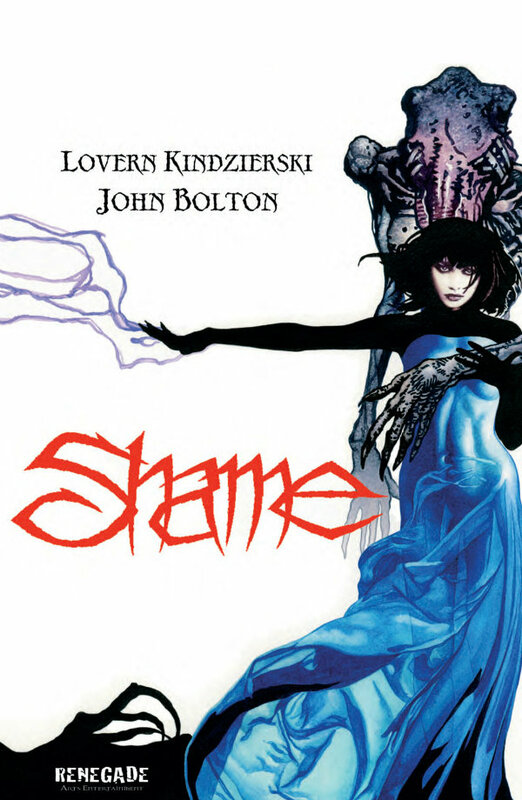 Chronicling the internecine war between two allegorically-charged forces of nature, Kindzierski and Bolton’s dark, enchanting cautionary tale pits Mother Virtue against her demon-tainted daughter, Shame, a spoiled brat of cosmic proportions. September 28th marked the release of publisher Renegade Arts Entertainment’s deluxe hardcover collection of all three volumes, featuring a behind-the-scenes look at the creators’ process and a sneak peek at the next chapter in the ongoing cycle, Tales of Hope, all in one glorious package. Without further ado then, here are your three low-down, not-so-dirty reasons why you should read Shame. As a veteran of the comic book industry for over three decades, Kindzierski knows how to tell a story in this medium. 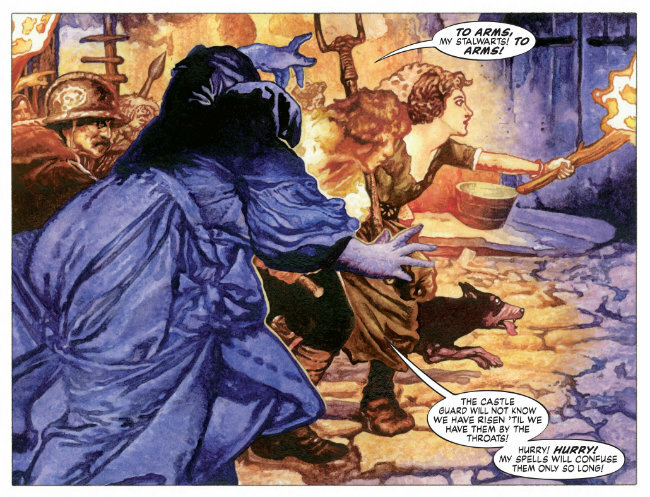 He was instrumental in developing modern colouring techniques using Photoshop and has been nominated for the Eisners and the Harveys multiple times over the course of his career. 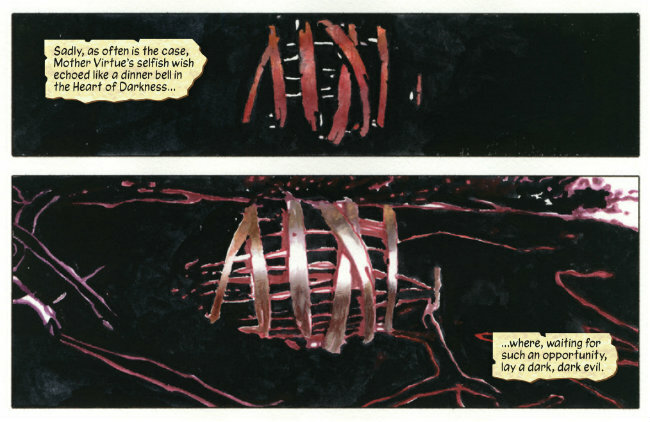 Kindzierski doesn’t just know how to make comics, he knows how to make great comics. There is a depth of world-building and understanding of story mechanics evident in Shame that could only come from someone of Kindzierski’s background and sophistication. Although a story populated by unabashedly archetypal heroes and villains and steeped in allegory, Kindzierski has crafted a fairy tale with layers. 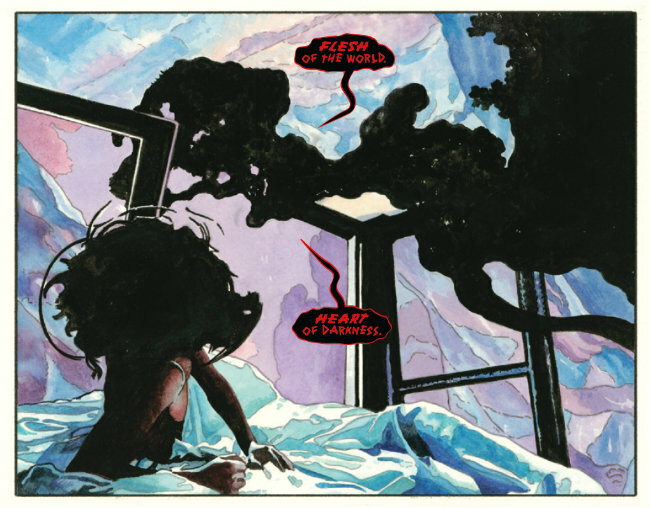 Shame explores themes of family and betrayal and identity through a filter of arcane enchantment, using the familiar construct of the fairy tale as a non-threatening vehicle into the reader’s psyche. A rich, rewarding journey into the human condition, Shame’s true magic may just lay in what it teaches us about ourselves. The world of Shame is brought to stunning, vibrant life by the hyper-realistic illustrations of John Bolton. Throughout the series, Bolton’s fluid paints flow languidly from one page to the next, somehow ephemeral and grounded at the same time. There’s a richness infused in each haunting panel, an easy elegance in Bolton’s neo-gothic designs that creates an insidious layer of simmering sensuality in virtually every scene. It’s not only a sexual thing, though that’s definitely there, too. Rather, it’s a textural thing. Bolton’s lush colour palate and deft brushstrokes showcase the magic of the Shame’s world with a fullness you can almost touch. Despite its title, Shame carries about it a certain brazen quality that goes far beyond the plethora of naked nymphs cavorting across the pages. From its bold, archetypal characters and broad, universal themes to its lurid, provocative imagery, Shame is a masterful, confident work from two industry icons. Kindzierski and Bolton challenge their audience to consider their gothic adult fairy tale like true adults, free from outside influence good or bad, and based on the merits of the work itself. They are shamelessly passionate about the world they’ve built, the characters they’ve brought to life, and the wellspring of imagination and magic they’ve unleashed on us all. A gift like that? Well, that’s nothing to feel ashamed about, is it? Renegade Arts Entertainment’s Shame hardcover collection is available now at all respectable comic book shops and bookstores.